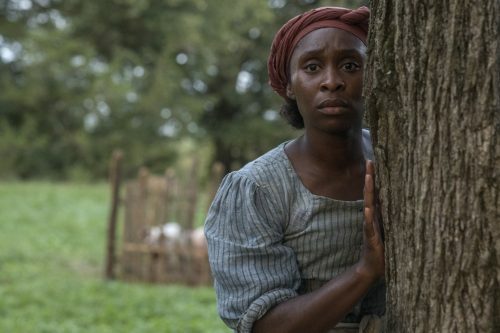 With February being Black History Month the team at Focus Features has unveiled the first photos of actress and singer Cynthia Erivo as the famed heroine Harriet Tubman. Those who know their American History know that Tubman was instrumental in escaping slavery and freeing dozens of slaves through the Underground Railroad prior to the start of the Civil War. She would later serve as a spy for the United States Army. The Focus Features release, which is titled Harriet, is co-written and directed by Kasi Lemmons (Eve’s Bayou, Talk to Me). Joining Erivo is Leslie Odom Jr., Janelle Monáe, Joe Alwyn, Jennifer Nettles, and Clarke Peters. A release date has yet to be announced but I suspect that it will be getting an Oscar push in fall 2019. Cynthia Erivo stars as Harriet Tubman in HARRIET, a Focus Features release.